Skipping has to be one of the best forms of exercise and would help you stay fit and healthy. As a matter of fact, you must be knowing of several skipping tournaments taking place around the world. The whole purpose of having a tournament in the first place is to recognize the achievements of other people who are participating. That can be done through amazing certificates. 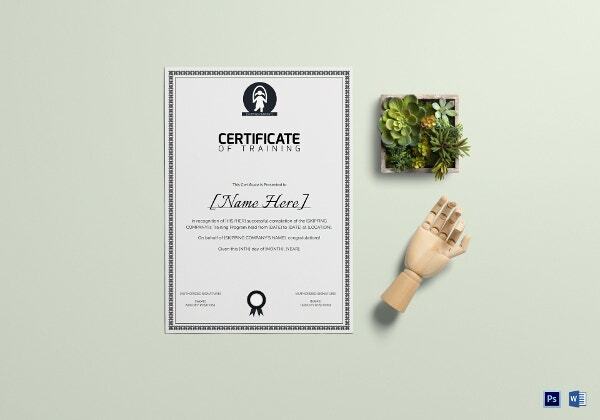 Now to design certificates of your own, you can use the templates below. You can also see Certificate Template. This certificate may be awarded on the completion of the event in question. 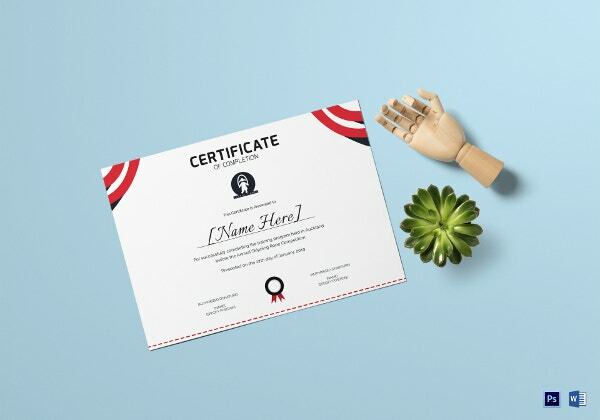 The classic combination of red, white and black makes the certificate template an attractive one as well. To award someone for their achievement in skipping, this certificate template may be used. 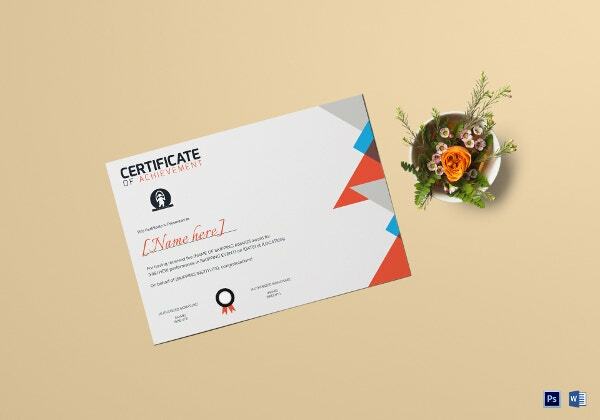 It combines a minimalistic design with a stunning background to create a spectacular sample of a certificate. This template has been kept very simple and to the point. It has a monochromatic theme, maintaining a combination of black, white and grey throughout. Also, the border makes the template look attractive. 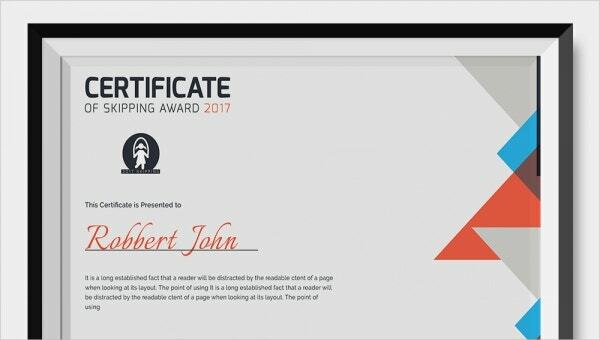 To recognize someone’s achievement in the field of skipping, this certificate template may be used. For instance, you can download the template and then edit it to personalize it too. On having completed a course or program in skipping, one may be awarded such a certificate. 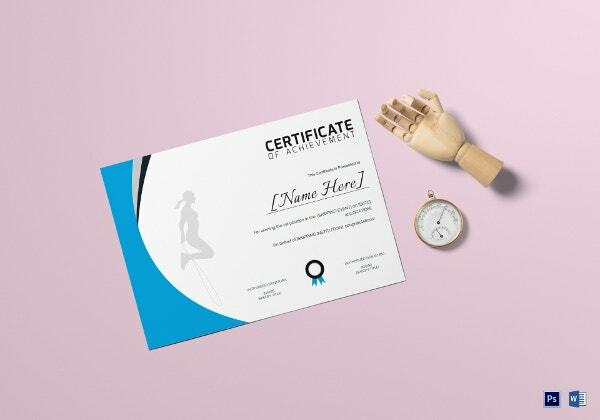 This certificate template is very professional in nature and devoid of any kind of excessive or flashy design as well. > What do the Skipping Certificates Contain? Most of the skipping certificates that you see here are either certificate of achievement or certificates of excellence. Naturally, this must be mentioned at the very beginning. The purpose of the certificate is to be mentioned first. Next, you have the name of the person who is receiving the certificate and his or her achievement. For instance, if a person has secured the first rank, that would be mentioned on the certificate itself. If this is a participation certificate, then that too deserves special mention. Apart from that, you have a stunning border, subdued backgrounds and a design based on the theme. You may also see Free Certificate Template. These certificates are professional in nature. The language used in the template is smart, concise, professional and formal in nature. That makes the certificate dignified and sophisticated as well. All the certificates have a design based on the theme. Since these are specific certificates, such specialized design is a must. The templates are customizable. One can download the template, open it in word and then experiment with it anyway one pleases. The templates are versatile, multipurpose, flexible and practical. That makes them highly coveted as well. 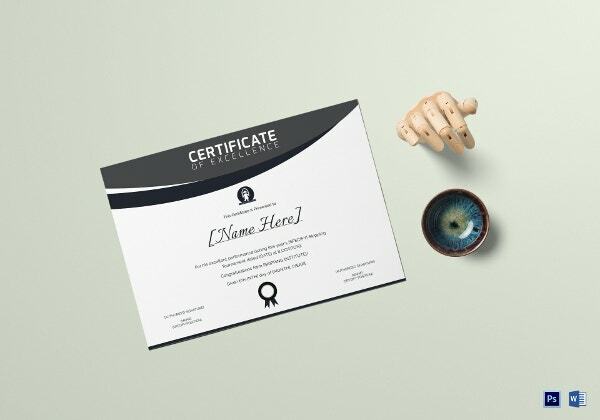 For people organizing such training programs or skipping championships, these certificate templates are the best option. Since these templates already have a design carved out for you, you wouldn’t have to worry too much about the layout or structure of it. All you have to do is edit the minute details.